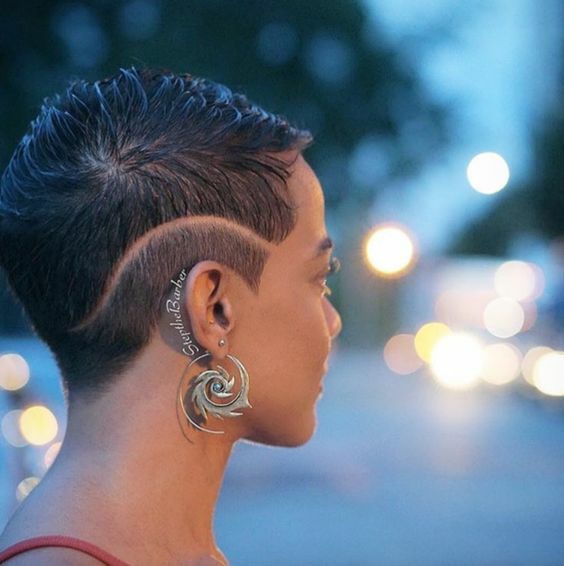 If you’re an African American woman out there with an ideal of trimming your hair short , either from medium to long hairstyles of any kind? Short hair is comfortable to deal with, once you draw it in a perfect shape. Mostly when hair is added with relaxer, your natural hair becomes quite manageable, its swift to pull any style and above all light t o carry. You find some ladies opting to apply curling tool on hair to either pull curls or waves. 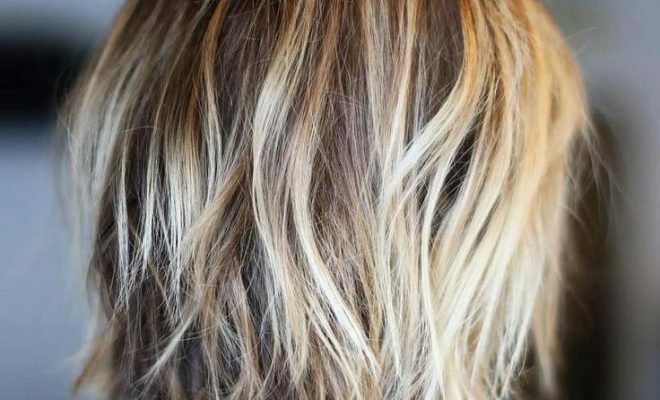 This alternative gives a perfect look but the impact on your hair is regrettable. Once you apply more heat and frequent on your hair to keep it looking nice, at the end of day it will become weak, and in a long run lose its texture. The best way to keep short relaxed hair is by applying rollers direct in drying process to be able to pull waves or curls respectively. I have looked round for Short Stacked haircuts for black women because it shapes nice while it’s easy to pull any style for any purpose. My observation about short stacked haircuts is that to some areas on entire hair it trimmed long with edges on one of the sides while the other hair is kept longer to almost fill cheeks or touch mid cheeks. This African American babe up front has medium short relaxed hair. So on the left hand side shortly off forehead hair is trimmed bit long with sharp edge before ears. On top part area of the left side through back of neck up to right hand ears hair is kept with minimal volume and long like at start of left side. The lower part of the same section of hairs is trimmed very short to create haircut with better shape. A line is drawn in the middle crown pushing hair towards left and some hairs on the right. so from mid crown going towards the right hand side hair is kept longer from ears coming forwards and it touches either mid or fill entire cheeks. So hair that parts on the right at front is pushed with bangs beside eyes for a nice stride. As you make hair you push waves going round from top left ears all the way through the right hand side. Hair at crown that marks the end of line is pushed up while hair off your forehead is pushed lower. At the end of day you will come up with perfect stacked haircut that turn heads as the lady up in the pictorial demonstrate. Determine your face Shape: The chic with popular short stacked haircut black is pulling hair with waves. 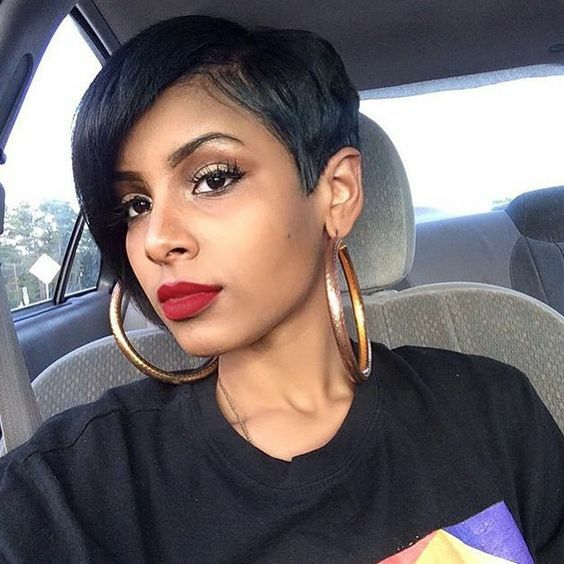 She has round face shape, with all the passion I have about short hair am able to tell you that this haircut looks fantastic on any face shape. So it’s you to take the initiative to try it out or else you’re losing. Which Hair product to apply? Mizani Rose H2O Conditioning Hair dress Unisex Moisturizer, 8 Ounce: because it restores moisture back to your hair shortly, adds a silky sheen to your hair to keep it looking healthy. Above all the scalp and hair is kept looking live and impressive. Which styling tools apply? Assuming your natural hair is already added with relaxer to make it manageable as you check in the pictorial on top. So you will proceed with hair trim to give this haircut a nice shape, so you need to apply pair of scissors. As you trim hair make sure hair on the left hand side just after your forehead is of medium volume and its edge reach ear length and sharp at tips. As you part hair in the middle round the crown, you push some hairs on the right and you leave it long to stretch from top to right hand ear length. Make sure hair that marks the end of line should be of medium lenght and volume. And from mid length through the back of neck and part of back right hand side should be with few lengths. At the end of day your haircut will show up superb. You will of course apply shampoo to wash off any buildup from previous hair products and dirt likewise. Reduce amount of water with in your hair then add setting lotion to make your hair well moisturized to be able to hold rollers. Dry hair either by sitting under drier or apply hand drier which ever seems convenient. 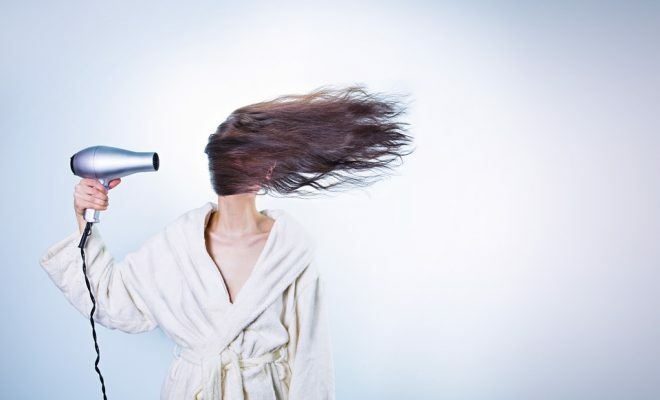 When hair is dry and apply hair product on scalp on small amounts between spaces created within hair. Lastly apply small normal bristled comb to style hair as desired. Hair is another item that God gave women as gift for whoever explores its art scores great, since it spells a lot about each individual personality. I have seen African American women wear excellent haircuts like the popular short stacked afro haircut on top and look amazing. For the African woman in the background, has thick hair. So hair on the left side is cut very short a few inches from eyes and likewise at back of neck touching part of left hand side from back view reaching back of ears. So the rest of hairs are kept long, so you’re able to pull bangs that cover your forehead. Remember some hairs at mid crown is pushed wavy for some tips looking forwards while others shape clockwise. So the right hand side hair is pushed with waves as trimmed on ascending order from bottom going up to shape hair perfect. 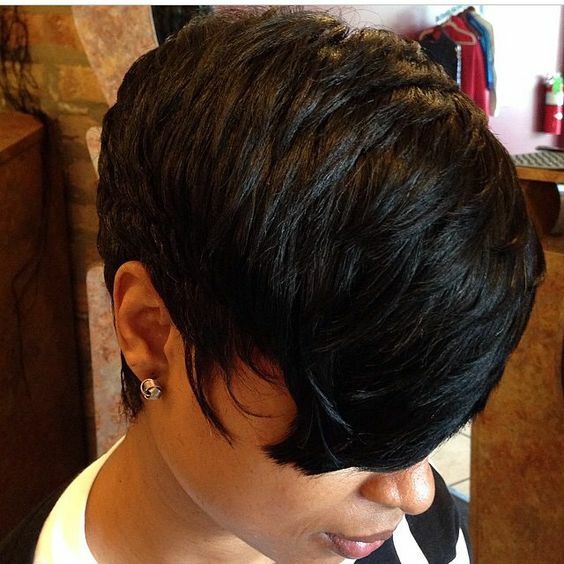 This haircut looks adorable to African American women round thirties and forties. Don’t miss out on such adorable haircuts this trend has for you. You can both pull on your natural hair or weave. Determine your face Shape: the African American lady on top is wearing popular short stacked afro haircut on long face shape. This haircut of those popular haircuts different face shapes look cute with. Just take the initiative and try it on either your natural hair or weave. This haircut looks great for any purpose and outfit, so be rest assured if you choice to go for it, will score highly. Which Hair product to apply? If this haircut is pulled on natural hair then add Dax Hair Food Plus4 7 OZ it is formulated from major four natural ingredients that make hair smooth for combing , add protein and at the same time keep hair looking original. These natural products are constituted of Panthenol, Protein, Vitamin A-D3 and Vitamin E. DAX Hair Food Plus 4 is another solution as hair and scalp conditioning is concerned. All if you’re wearing it on weave at bottom add Tee Tree conditioner to help out on itching and dandruff while on top of hair apply Olive sheen hair spray because it will add moisture to your hair, reduces chances of hair plucking while it will lock in lasting sheen for healthy look. Which styling tools apply? When you’re to wear this short stacked afro haircut on natural hair, originally you have to have medium length hair. For this purpose it has to be thick as you check in the background. For hair on the left and partly at back of neck you trim it very short, putting in mind that the upper part of this area is longer than bottom. So hair with length is kept at mid top and partly the start of left hand side just above eyes. Once you’re done with hair trimming and shampooing hair? You add rollers on to your hair for areas which can hold rollers and set it to dry. When hair is dry apply small volumes of product on scalp and on top of hair. First apply big comb to push hair towards the back then apply small comb to help you style hair. You can exhaust whatever resource you have near you, but am telling you as far as hairstyling are concerned ideas have never exhausted. Here’s yet haircut that African American girls fall for, when they’re done with all hair lengths and styles and all you need is to have an easy haircut to keep you going. 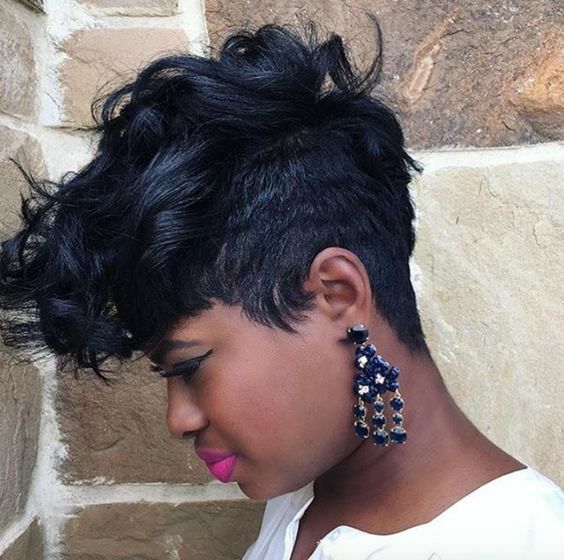 The popular short stacked curly hair cut on top is pulled on very short relaxed hair. It’s trimmed super short on sides and at back of neck. On the right hand side just in the middle a bold curvy live is drawn to make the haircut look stunning. While on top hair is trimmed on quite little length. 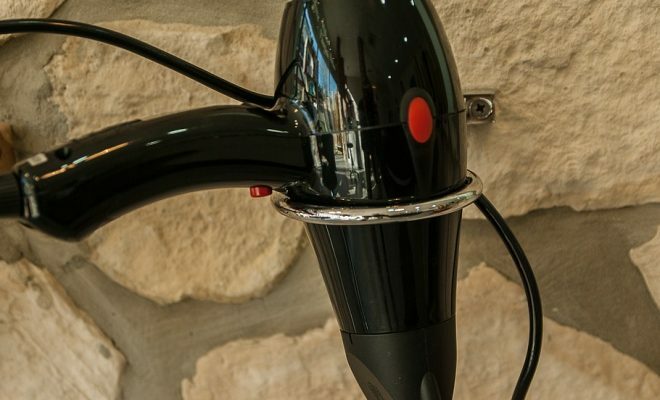 For you to pull curls, you add curly hair product. As hair is evenly moisturized you find it easy to face it any direction of your choice. So hair is pushed towards the left on mid top area. The nature of this haircut makes your heart peace because it’s light to carry, easy to make even though you’re exhausted with time. it gives you break on routine visits other lengths of hairstyles require too. Determine your face Shape: The African American girl up front is wearing popular short stacked curly hair cut on round face. She added an amazing earring that blends exactly with her haircut. Above all this haircut looks great on any face shape of any African American girl to lady out there. Which Hair product to apply? Add world of curls activator gel on small amounts on your entire hair to moisturize it, lock in sheen, for strong hold and to make hair easy for styling. Which styling tools apply? First and foremost you check with salon for hair trim, that’s to leave your natural hair on short length for the relaxer to make hit proper. And after adding relaxer on to your hair some hairs seem long from required levels so you apply scissors to shape it. Note you shouldn’t draw a line within your hair before relaxing your hair because relaxer will burn you. After your hair is relaxed and dry a scissors will apply to draw like on the right hand side on curvy shape. Last add product and apply comb to style hair. Whereas other African American women fall for braids, long to medium straight, curly or wavy weave? Quite many black women fall for short haircuts, it doesn’t matter whether you’re in your late 40’s, but from teen to fifties African American women love short haircuts. The lady on top pulled on short stacked side push style on wavy hair. From back of neck going towards front, hair increases length and volume. When you check the pic on top hair at back of neck is fixed very short up to top. Then from this point up to mid crown and you’re proceeding in front you increase volume and little more length. So few inches from mid crown coming forwards towards forehead hair is quite voluminous and to some point towards forehead you push bangs towards the side cheeks just in the middle. While after left ears on the right side of cheeks some hairs is pushed longer with edges to touch cheeks. While on the opposite side cheeks hair parts to either direct at front for some hairs to be pushed on the left side and at crown. Hair on the left side is kept on same volume and length of hair at back of neck. Determine your face Shape: the African American woman in the background that is wearing short stacked side -push haircut is long face shape. As this haircut is arithmetic it favors any face shape to look stunning with it. This haircut blends both black at front then brown highlights on top that starts from the back of neck coming up to crown and the rest of sides. Which Hair product to apply? The short stacked side- push haircut is pulled on weave, therefore at bottom your natural hair is pulled with cornrows. So at bottom you can apply bees wax, Tee tree conditioners or any other equivalent hair product that will moisturize scalp. And on top of hair apply hairspray that will put frizz of weave, detangle it and moisturize it for easy styling. So add Olive sheen spray because it won’t let you down. Which styling tools apply? At bottom you draw cornrows on your natural hair using weaving threads. Then when fixing weave on top use weaving threads and needle. Apply small pair of scissors to shape your haircut. Prior to styling add hairspray to make hair manageable. Never the less for any one with medium length relaxed hair too, you’re sorted with this haircut. First you check with barber to have your hair in shape. The African American woman up front fell for short stacked straight haircut that she pulled Bob style. This haircut looks adorable on her skin tone and face shape. On one the right hand side hair is pushed with bangs and long enough to touch mid cheeks. So hair at back of neck is trimmed shorter compared to left hand side for the haircut to have shape. What picks my interest about this haircut is that she added on her looks shapely eyebrows. You see it starts big and goes on narrowing up to the end. Her eyes too look great with eyelids made long and pretty organized as they look up. Which Hair product to apply? 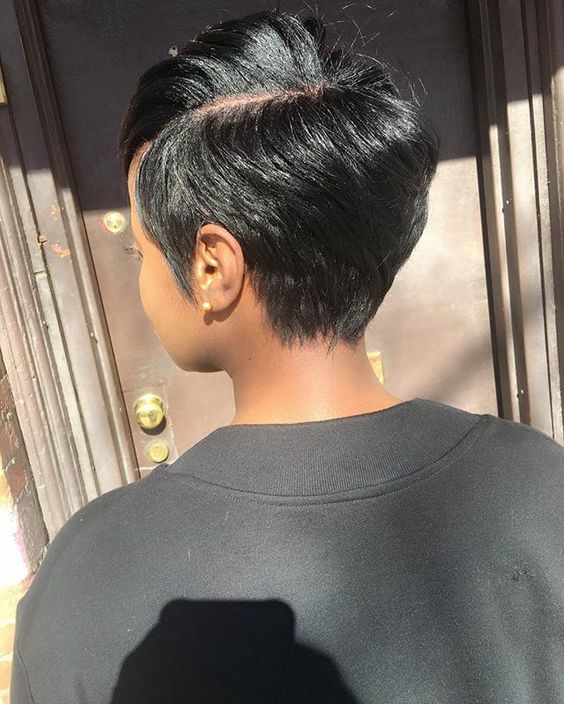 this haircut on top is worn on relaxed short stacked hair, so your either apply one of these hair products because am sure your hair will look healthy; Dax Hair Food Plus4 7 OZ, TCB Hair & Scalp Conditioner With Olive Oil 10 OZ or Mizani Rose H2O Conditioning Hair dress Unisex Moisturizer, 8 Ounce. Which styling tools apply? With pair of scissors to shape your haircut, use small bristled comb to pick few volumes of hair as you take on trimming. Since this haircut is worn on relaxed hair it’s wise to add treatment kit then take on steam for the product to penetrate easily on hair roots and entire hair. Thus your hair gets strength and its texture also improves. Wash off the product then add little bit of conditioner on your hair for seconds and wash it off. Apply rollers on your hair by picking small volumes of hair then fix it round each roller until entire hair is done. 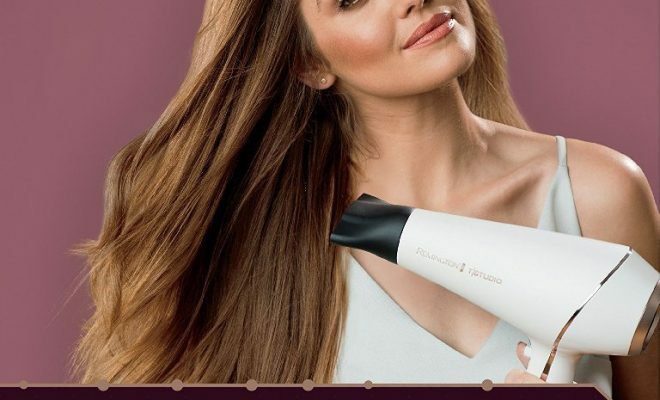 Dry hair at your convenience and remove rollers form your hair. Apply hair product on scalp and rub gently to distribute product evenly. Proceed with styling; apply few trims around your hair to shape it perfect.